Electric Academy brand, Drifta Seat for Self Balancing Scooters. All black in color. Attach this Electric Academy Drifta Seat to your hoverboard for a new way to ride. No hoverboard or scooter included. - Comes with a universal velcro bracket to fit on most 6.5", 8.0" and 10.0" self-balancing scooters and hoverboards. - Race inspired molded seat for a new and fun way to ride self-balancing scooters and hoverboards. 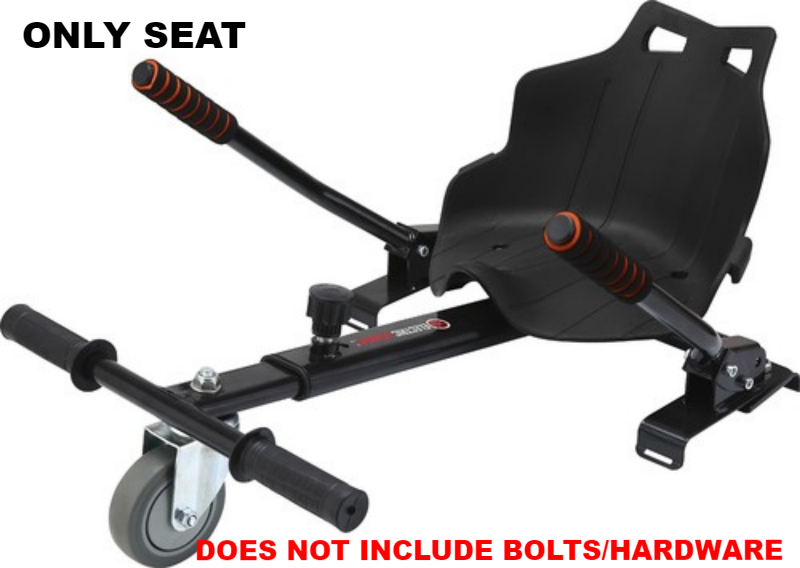 - Adjustable seat positions provide additional flexibility in use and can be fit for children and adults. - Zero-turn steering levers for easy turning. - Smooth rolling swivel caster front wheel allows better wheel rotation.